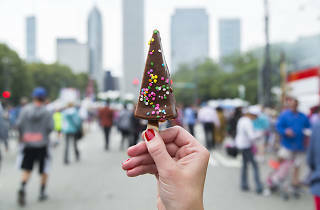 Taste of Chicago organizers and Mayor Rahm Emanuel today announced the complete lineup of food vendors for the 38th annual event. The lengthly roster includes 73 restaurants and food trucks, 26 of which have never before appeared at the free food festival. Of the newbies, names like Arun's Thai Restaurant, Chiya Chai Café and Sun Wah stand out as stalls that will certainly attract attention (and lines) at the event. 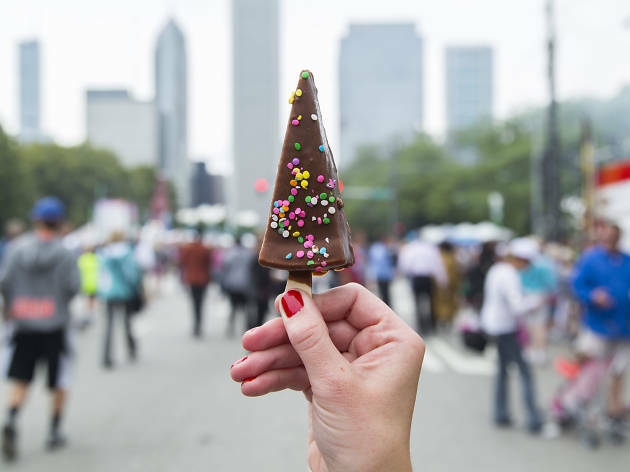 Taste of Chicago will be hosted in Grant Park from July 11–15. Though admission to the five-day celebration is free for all, guests must purchase tickets to redeem sample-sized portions of menu items from each restaurant. Also gratis are headlining sets from the Flaming Lips, Brandi Carlile and George Clinton, though you can upgrade your seats by purchasing a ticket. Take a look at the full lineup of food vendors below.